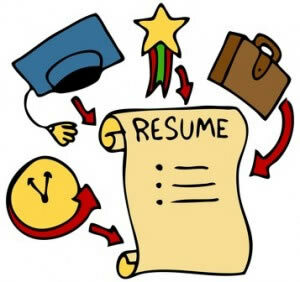 The resume is a summary of the person’s education, experiences, skills and accomplishments. Hence, it should be great, in order to effectively represent the person. 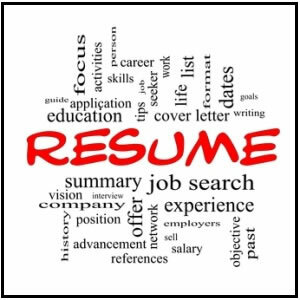 A resume is the employer’s first glimpse at a potential candidate. As the employer probably knows nothing about the applicant when he gets the resume in his hand, the resume is the only thing that shows the employer who he maybe potentially hiring. How can a piece of paper show who and what a person is? A great resume can do just that and so much more; it can in fact also land you the interview. However, what makes a resume great? However, the tens or hundreds of applicants that also applied to the job, have all of this information on their resumes. So, why would the employer pick you over all of them? What would make your resume pop amongst all of these? First of all ensure that the tone and presentation of the resume is professional. An unprofessional resume will surely pop, but not in the way that you would like. The unprofessional resume indicates an immature candidate, and these resumes are the first to be disregarded. This is especially reflected in your e-mail address. If you have an unprofessional e-mail address, then you are automatically believed to be childish and immature. At times, you can exclude the objective statement. An objective statement is often generic, such as “A hardworking trustworthy person that is looking to grow in a meaningful position.” The employers have read this in a million different variations. Instead, include an executive summary, which summarizes who you are and what you're looking for. An executive summary is essentially your 30 second sales pitch of why they should hire you. Avoid using tires and boring phrases, such as "loyal" or "trustworthy", or phrases such as "responsible for" or "duties included", instead opt for power words. These words are forceful, and show you as a doer. Use words such as "managed", "oversaw", “forecasting" and "strategic planning." Also try to include the keywords mentioned in the job posting throughout your resume. This will show them that you are specific about applying to the position and that you fit the bill for the position. The content of the resume should be short and concise; it should not be long-winded or contain unnecessary information. Short and sweet, is always the way to go. It should also nearly always be in reverse-chronological order, i.e. last job first. This allows that recruiter to see what you have been up to recently, which is more important to them. Also try to be exact in your descriptions, such as ‘department head’ is too generic, instead try saying, ‘head of sales department heading 50 employees.’ This gives more information about what you actually did, and sounds more impressive too. Do not list information or achievements in dense blocks of text. Recruiters often just skim the information on the page, and dense blocks of text are too difficult to read. Hence, important information is often missed. Instead, list achievements in bullets under each job or experience. Furthermore, do not use crazy fonts, or images. Do not use headers or footers. Do not use pronouns, or write it in the third person. Always write the resume in the first person. Also, always list work experience, before education, as most employers will be looking at work experience before education. Unless of course, you are a fresher and do not have or have minimum work experience, then of course you should highlight the education. Also keep in mind, that a great resume is also unique. Of course you should follow the general guidelines of a resume, but you can also mold the resume to yourself in order to better represent yourself. The employer will only like you, if they actually know you. So, ensure that the resume is unique and different from the rest of the litter, just like you.